Among the many brilliant truths Anthony Bourdain has uttered, one quote stands out in particular for this gourmet-focused Top Ten list: “To me, life without veal stock, pork fat, sausage, organ meat, demi-glace, or even stinky cheese is a life not worth living.” Although this month’s theme of on-site, award-winning restaurants was decided on months ago, it’s particularly poignant to offer this list now to culinary pilgrims in this great traveler and chef’s memory. In his words, “Food had power. It could inspire, astonish, shock, excite, delight, and impress.” Here are the places that make us feel the same. The only restaurant to have earned three Michelin stars in Rome. ’Nuff said. 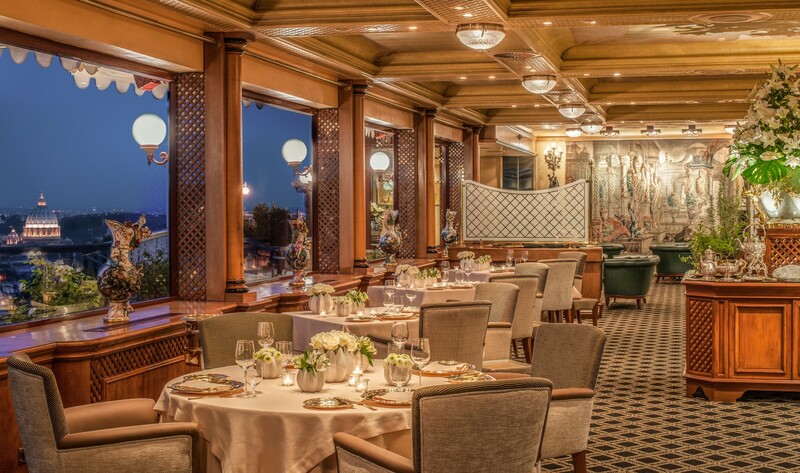 Okay, maybe not really enough said, since La Pergola at Rome Cavalieri, A Waldorf Astoria Resort, is guided by none other than Heinz Beck, one of the most respected chefs in Europe. Unlike many other traditionally trained chefs, his Mediterranean style has focused on light and healthy renditions of delicious, inventive dishes, earning him a reputation for being able to effortlessly balance indulgence and wellness as he does flavor. Deep roots take new forms with 20+ courses of molecular gastronomy at this resort restaurant. Take a second look, because this Oasis is no mirage. Although to be fair, Benazuza may seem so even at first taste, with innovative cocktails that are more lab–like than bar–like and a menu that doesn't actually exist. Thirteen Diamonds, fully included. That’s no gem—this a crown jewel in the fine dining kingdom. 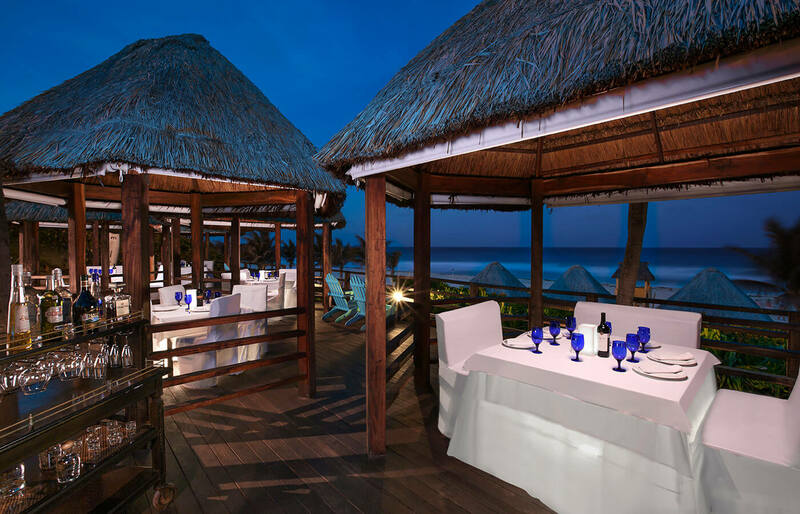 You would think having the only all–inclusive resort restaurant to have earned a AAA Five Diamond rating would be enough, but no—in addition to the lauded Cocina de Autor by Nahum Velasco, Grand Velas Riviera Maya tempts diners with Mario Soto's Piaf and Ricardo de la Vega's Frida, both flanking with Four Diamonds of their very own. Mediterranean cuisine is literally elevated at this rooftop venue—one of the best in all of Greece. The GB Roof Garden at Hotel Grande Bretagne is one of the top restaurants in Greece. It lifts Mediterranean tradition to new heights, introduces a different perspective … and all kinds of other puns about its rooftop location and uninterrupted views of the Acropolis and Parliament in Athens. Canada’s greatest export to the Caribbean may just be this talented chef. If Chef Lauren Callighen was looking for heat when she traded in bitter winters in St. John's in Newfoundland, Canada for the warmth of the Caribbean, she found sunny skies and hot kitchens awaiting her at Parallel23 at The Palms Turks & Caicos. The first female Executive Chef for the property, this James Beard–recognized talent has truly embraced the flavors of her new home, her style Caribbean first and global fusion second. Sin City? With gluttony still ranked among the original vices, we can safely say it definitely is! Las Vegas has always been a hotbed of hedonism, that lovely pursuit of pleasure. But today, that pleasure is often found on the plate as the city continues to grow into its role as a gastronomic mecca. Top–name chefs from coast to coast and around the world establish flagships here now, and at the Bellagio, it's a veritable sampler plate of the best names in contemporary dining. Live on the edge … but dine on the (Pacific) Rim, where regional cuisine is set to stun. "Plantation–inspired cuisine" is what restaurant Ko says of their dining program, but according to Maui No Ka 'Oi Magazine, they're underselling themselves. Their actual title is "Best Hawaii Regional Cuisine," a distinction they won gold in for the sixth consecutive year at the 'Aipono Restaurant Awards. More Michelin stars than any other Spanish chef. That’s what makes OUR eyes starry! 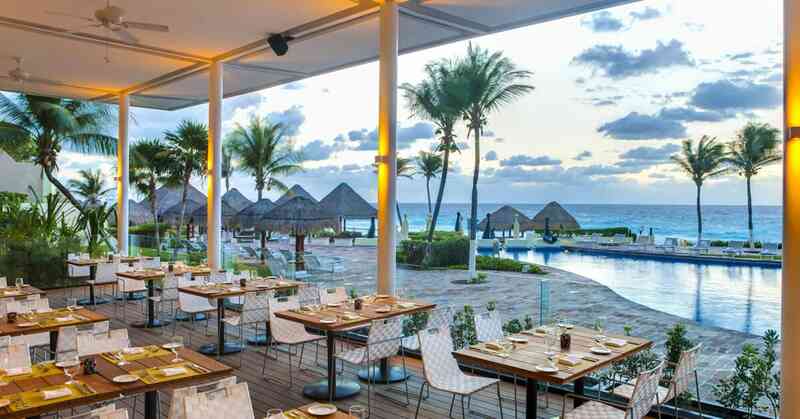 With the entrance of Tempo by Martin Berasategui, Grand Velas Riviera Maya may be the only resort with an includedAAA Five Diamond Award, but it's no longer the only resort (period). This celebrated chef from the Basque region of Spain is a point of pride for the Iberian Peninsula, and for good reason. With a total of eight Michelin stars to his name, this master artist holds more than any other Spanish chef ever. When chicken tikka masala is a national dish, you know the Indian is going to be good. But here? It’s spectacular. Michelin stars are hard–won and hard to come by. 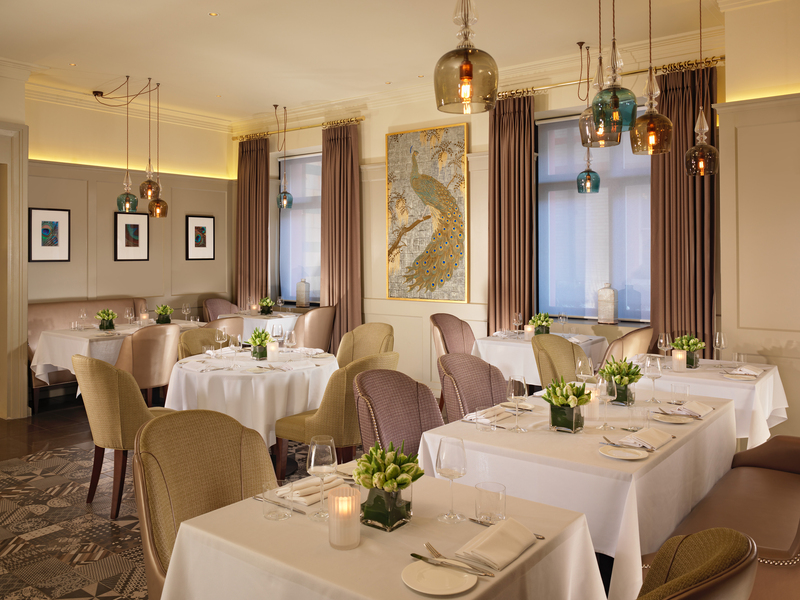 In a global city of tens of thousands of restaurants, it's even more remarkable that Quilon in Taj 51 Buckingham Gate Suites & Residences is not only one of just 39 awarded one star, but that it's literally the only South Indian restaurant to earn this acclaim. Led by Sriram Aylur, ranked one of India's top five chefs decades ago by The Telegraph, this accomplished chef brings Southwest coastal Indian cuisine to new heights … or deeper depths. Think fresh seafood, the focus of the menu, in renditions like halibut, prawns, and potatoes in moilee sauce or pan–fried lemon sole, marinated in Goan spices and aromatic herbs. Consider contemporary and healthier takes on favorites, like his own Malabar lamb biryani; crab cakes made with curry leaves, ginger, and green chilis; or chargrilled scallops with pawpaw, poppy, and chili. Or even something simple like their signature salad, bright with watermelon and earthy with fennel and curry. But we suggest not deciding at all—three set tasting menus (seafood, vegetarian, non–vegetarian) and custom tastings are honestly the best way to have the meal of your life. (Image via 51 Buckingham Gate). The name of the restaurant is plain and simple. The experience is anything but. Don't let Beach House fool you with its unassuming name—this restaurant in The Westin Grand Cayman Seven Mile Beach Resort & Spa is a AAA Four Diamond Award and Wine Spectator Award of Excellence winner whose cuisine is so creative, it practically requires such simplicity in nomenclature to make up the balance! Led by Sandy Tuason, coastal dishes from the Caribbean, Mediterranean, and Asia are all fair game here. Local, sustainable seafood and produce from the islands are as seamlessly incorporated into his dishes as flavor profiles are melded together, adding more to the uniqueness of every item, "Smaller Plates" or "Larger Plates."